I am a female, white Pit Bull Terrier mix. Shelter staff think I am about 1 year and 6 months old. I have been at the shelter since Sep 15, 2018. 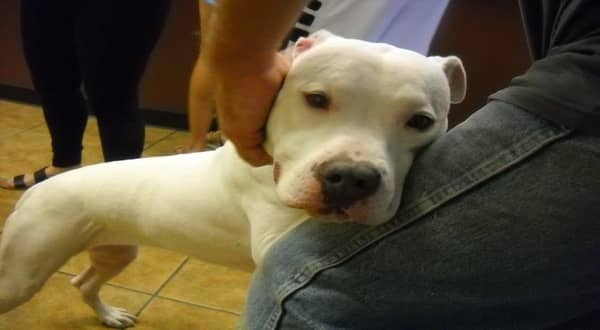 1 Response to "Heartbroken 1 year old pup begs owner not to leave her alone at kill shelter"